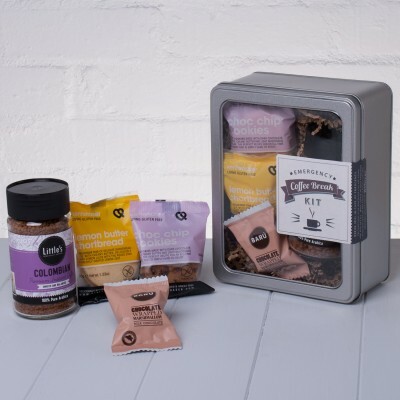 If you're seeking a gift for a Dad whose fuel of choice is Tea , our Dad's Tea Lover’s Box is packed with some terrific treats for any father whose idea of heaven is sticking on the kettle for a refreshing cuppa. 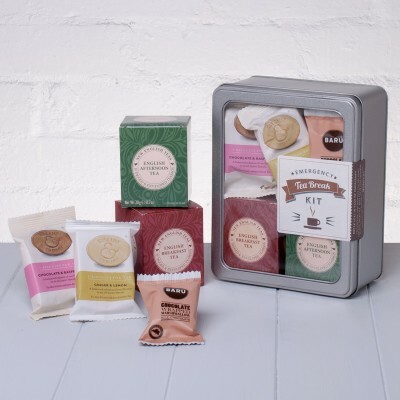 Not only will the lucky Dad be able to make the perfect cup of full-bodied and robust Ceylon Ever-so-English Breakfast Tea, they can also enjoy crunchy Chocolate Peanut Cookies and crumbly all-Butter Shortbread - just the thing for dipping in their smart new mug. Beautifully presented in a Kraft Window Box lined with Kraft Shred, this Tea trove is sure to add a touch of class when tea time beckons, and to make it extra special we'll even add your personal message to one of our signature mini whisk tags.